We supply and install insulated panels and the necessary materials needed for install from Kingspan or KPS Global. We can supply and install under floor heating systems to prevent frost build up and eventually damage to the floor of your walk-in freezer. We supply and install a variety of doors for walk-ins (Frank Door, Hercules, Rollseal, Mars Air doors, Elaison, Rytech – sliding doors, in fitting man doors, roll up doors or varying speed, bi-parting insulated doors, double and single action doors, air doors either in conjunction with another door type such as roll seal, or by itself to reduce energy costs. 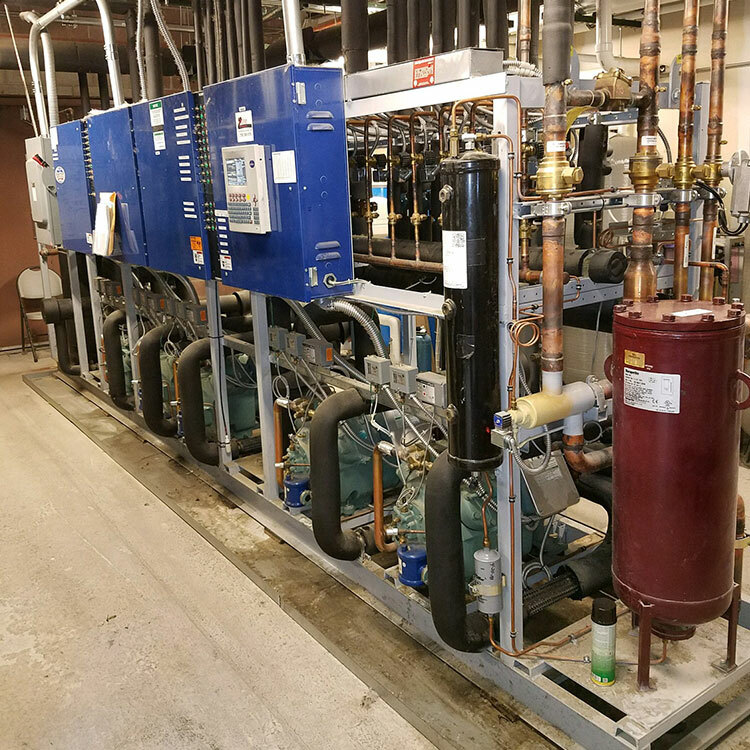 We supply, install and maintain the necessary equipment and material to keep your desired spaces cold. We have a variety of evaporators to fit your cooling needs. 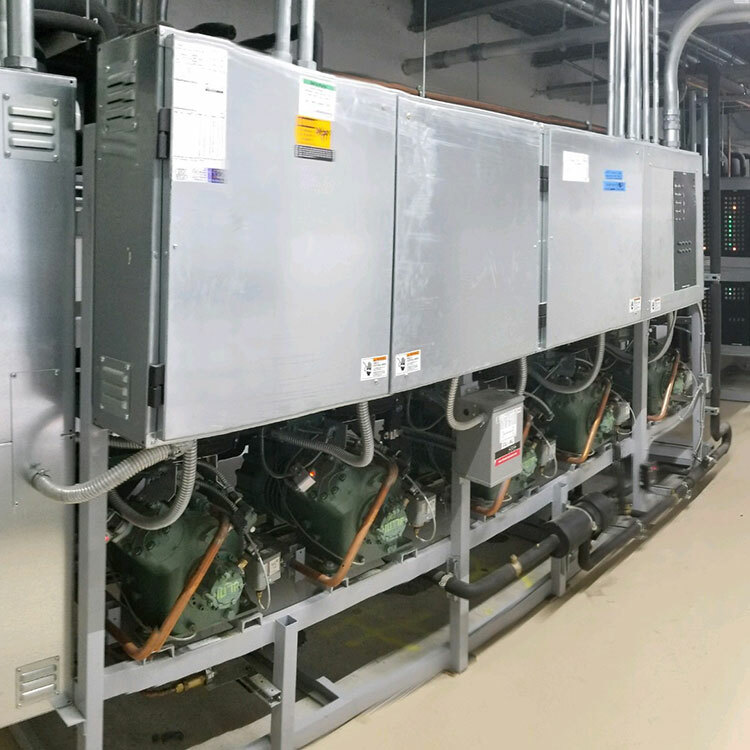 For larger scale commercial and industrial applications we can engineer, supply, install, and service your refrigeration needs. 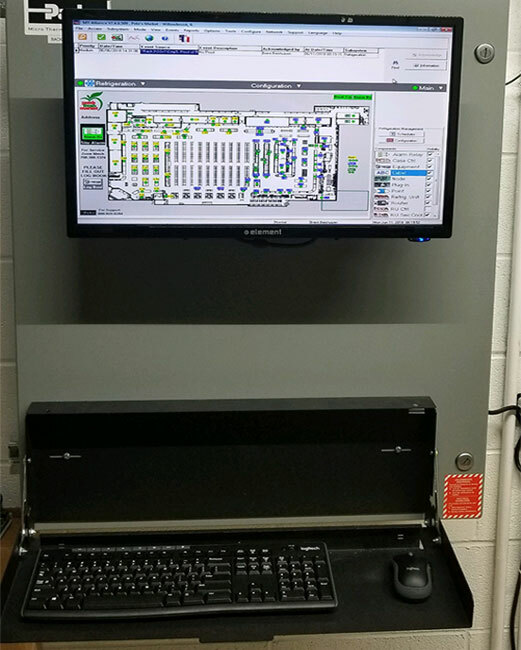 Usually for supermarket and industrial application, Zone Mechanical can provide, install, and maintain a monitoring system to ensure temps are held and product loss is kept to a minimum. Our techs have familiarity with both CPC and Microthermo monitoring systems. The option to remotely dial in can help prevent costly service calls. 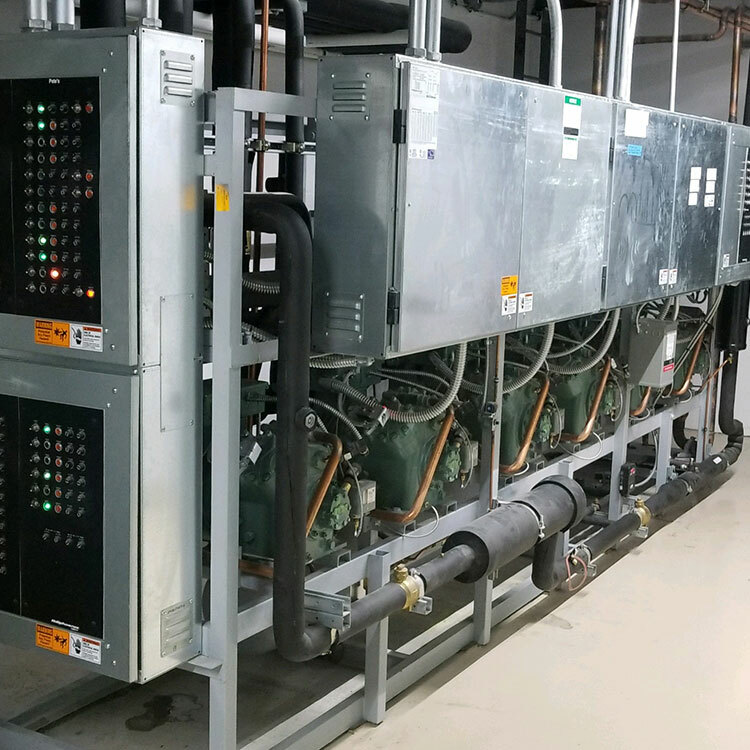 Zone Mechanical is the Midwest region for Hillphoenix display cases and refrigeration products as well as racks, condensers, evaporators, etc. We offer both a cookie cutter line up of case for those looking for continuity and a specialty case manufacturer that can make to order given a specific customer’s choices. OEM Parts: As a Hillphoenix distributor we are able to provide the manufacturer specific parts needed to keep your equipment running.